Spider vein treatment using sclerotherapy is quick, safe and provides dramatic cosmetic results. Spider veins in legs basically disappear instantaneously before your eyes with our spider vein removal techniques. Spider veins are the thin, squiggly veins that look like they are just below the surface of the skin. They can be red, blue or purple and are mostly seen on the thighs, calves and ankles. The veins in our legs push blood upwards towards the heart. This upward flow of blood is going against gravity. But there are valves inside our veins that open and close, allowing the blood to flow upwards, but close in a way that prevents the blood from flowing downwards. When these valves become weak, they stop functioning properly and blood seeps down and gathers in the legs. This backup and collection of blood in the legs create spider veins at the skin’s surface. So, although they just look like small squiggly veins, spider veins are an indication that there is a deeper vascular problem within your veins. Surprisingly, despite their small size, spider veins can be painful. The symptoms of spider veins in legs include aching legs, a feeling of heaviness in the legs, itching and night cramps. Painful spider veins are more common than most people might think. An estimated one third of women have spider veins and they usually think that they are just a cosmetic issue. However, as previously mentioned, the appearance of spider veins on your legs is an indication of a more serious problem that could be happening deeper in your veins. If you see spider veins on your legs, this means that valves in your veins are malfunctioning, and this can lead to more serious problems such as varicose veins, ulcers and blood clots which can be life threatening. So, it’s important to consult with a vascular surgeon if you notice spider veins on your legs. Spider vein injections, or sclerotherapy is the preferred method of spider vein removal at The Vein and Vascular Institute of Spring Hill. Using a needle that is similar in size to an acupuncture needle, a concentrated medication is injected directly into the spider vein. This causes the vein to close up and dry out, making the spider vein disappear completely. Several sessions of this sclerotherapy treatment are usually necessary to completely eliminate the appearance of spider veins on the legs, giving outstanding results for our patients. This type of spider veins treatment is effective when the spider veins are not connected to the deep surrounding veins. When getting sclerotherapy spider vein injections, it is important to get treatment by skilled and experienced vein specialists, who practice under the direction of Board Certified Vascular Surgeons. 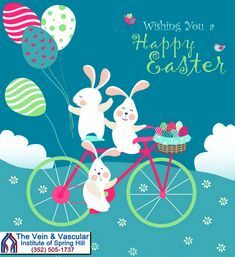 Unfortunately, there have been cases reported of patients having large ulcerations, tissue and skin loss, and even limb loss from inappropriate vein injections at “vein centers.” At The Vein and Vascular Institute of Spring Hill all our vein doctors are Board Certified Vascular Surgeons and all our vein specialists are highly trained and have extensive experience in spider vein removal. This ensures our patients’ safety during and after vein treatment. Laser treatment for spider veins has proven not to be very effective on spider veins in the leg. It has proven to be painful and can often lead to scarring. In addition, it is significantly more expensive than sclerotherapy, therefore, it is not recommended by our vascular doctors. Spider vein treatment may or may not be covered by medical insurance, depending on the individual patient’s diagnosis and medical insurance provider. A vein consultation at our office can help determine the cost of spider vein treatment for you. To schedule a consultation and to have your spider veins treated safely and quickly using the best available spider vein treatment in Spring Hill, Florida, give us a call at (352) 505-1737.